In this day and age of multiple devices, mutliple platforms and multiple screen sizes, Responsive Web Design (RWD) has become the web designers' go-to strategy for building web sites. For this post, I enlisted the help of my colleague, Eric Nardo, the Creative Director at Ora Interactive, whom I am grateful for his deeper education on this topic. First of all, what is RWD? It is the process of building your web technologies in a way that it will automatically reformat itself based on the inbound platform a user is using. This means updating the page width, font sizes, displayed text, navigation bars and other elements to easily and quickly resize and optimize the site for PCs, tablets and mobile phone screen sizes "on the fly". No longer do you need to build a stand-alone mobile touch sites, or incur addition costs building different versions of your sites for the various platforms. And, the good news: it is no more expensive than building non-responsive sites, so there really is no reason not to be doing it. RWD first hit the stage in 2010, with Ethan Marcotte's book on the topic. But, it really did not go mainstream until the middle of 2012, when many of the big web browsers started to support CSS3 (since RWD is dependent on media queries using this cascading style sheet technology). It is now the default preferred solution for any good web design. So, if you are not building your new sites, or rearchitecting your old sites, using RWD frameworks, you really need to look for new professional technology assistance, as you may be materially impacting your user's experience on your sites, depending on what devices they are using. It is critical you customize your user experience to the devices your users are using to optimize the user experience, word of mouth marketing benefits and conversion rates for additional revenues. All you have to do is look at you Google Analytics data to realize 30-40% of your inbound traffic is coming in via mobile devices today, not PCs!! The most-popular RWD frameworks come from the Zurb's Foundation, Twitter's Bootstrap and Dave Gamache's Skeleton. Zurb's is the "grand daddy" of the industry that has the most features and is on the leading edge. But, it is the most complex and hardest to learn and use. Bootstrap is the middle grade, with a lot of customizable buttons and menus, too. But, if you don't think you will use those functionalities, Skeleton, like its name suggests, is a "bare bones" framework for your simplest of needs. Making it many designer's favorite, given its quick and easy use. That said, there are scores of other frameworks out there, and you can also try to code this functionality yourself, if you are a good coder. But, don't re-invent the wheel if you don't have to, with good open source options available out there. To be clear, RWD does not replace the potential need for developing stand-alone native apps for smart phones and tablets. Native apps run locally on the device, and do not require connectivity to the web, where performance can be spotty. And, native apps can directly tap into the device's hard drive, memory, storage, GPS targeting, voice/email/SMS functions and integrate with users' other mobile apps, like their social media connections, where RWD does not. So, for rich media applications, like gaming, nothing will perform better than a native app. 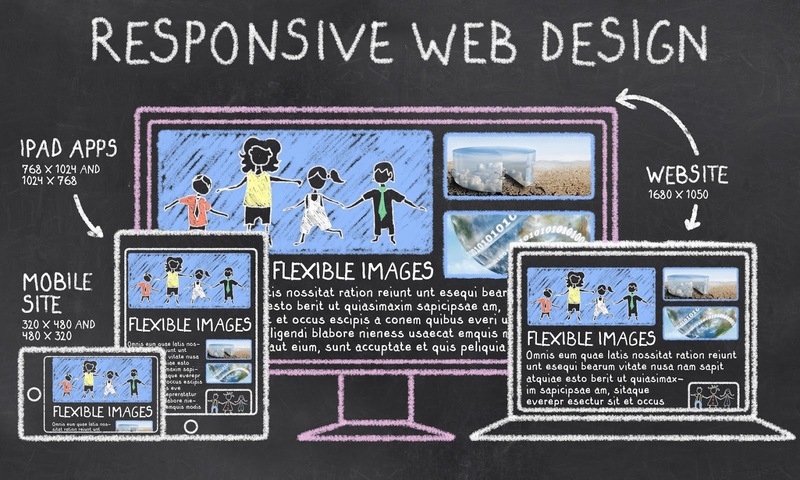 For further reading on this topic, check out the book "Responsive Web Design" by Ethan Marcotte and this blog post by Pete Cashmore at Mashable. If you need any further assistance, or are looking for a professional developer for your RWD needs, Eric Nardo at Ora Interactive is happy to help at eric@orainteractive.com or 312-854-7096. I saw this AT&T Visa Rewards Card advertisement, and just couldn't help myself. It pretty much says it all, figuratively and literally!! Germany-based Rocket Internet, the self-described world's largest internet incubator, is one of my favorite entrepreneurial companies on the planet. The most important lesson they have taught the world is: you don't have to be the first mover in a space, to drive the highest ROIs. Sometimes it can be more lucrative to copy good ideas where the concept is successfully proven in one region of the world (e.g., the U.S.), to then build "copy cat" versions of those sites as the first-movers in new geographic regions of the world (e.g, Europe). What a genius business model. Why waste money with the typical venture capital model of investing in ten unproven startups, to then hope one of them is a huge success where you make all your money. In the Rocket Internet model, you are letting other venture capitalists risk their capital experimenting with ten new concepts, to see which one of those ends up being a huge success, to then copy that model for presumably equal success in the new geographic region. And, then, guess what? Once Rocket Internet has built up the key internet leaders in Europe, Latin America, Africa or elsewhere, then the companies which had the initial success in the U.S. typically come calling to buy the Rocket Internet "copy cats" as their platform to fuel their international growth, almost guaranteeing Rocket Internet a whopping ROI on their investments. Proven idea + known exit = meteoric payouts. Instead of the normal one in 10 chance for startup success, it is like a 5 in 10 chance of success. Which takes a normal VC's 40-50% annual IRR, and catapults it closer to a 200-250% annual IRR. Rocket Internet is often criticized for their model of stealing other peoples ideas's. Frankly, I think that is not fair. Good ideas are replicated by others all the time. Just ask iPhone if they are happy with the Galaxy S4. Or, Groupon if they are happy with Living Social. From my perspective, Rocket Internet is simply practicing good business sense on a global scale. More importantly, Rocket Internet, does not behave like a VC firm. They are actually an e-commerce-focused incubator helping to build and run these companies, taking the lessons of hundreds of predeccesor companies, and apply them to the new startups. This allows them to work at light speed with an inhouse team of 250 engineers that can knock out a brand new site in a month. And, we all know how important speed is for any startup's success. Not to mention, taking a company global is typically a huge challenge for most startups. But, with Rocket Internet's global strengths, they can literally launch worldwide in no time. I love this model!! The numbers speak for themselves. Rocket Internet has built over 100 companies in over 50 countries on six continents in the last six years. This includes several high profile, lucrative exits (e.g., Alando to eBay, CityDeal to Groupon, eDarling to eHarmony, Jamba to Verisign, Bigpoint to NBC, and Betreut to Care.com). Today, Rocket Internet employs over 700 people and their portfolio companies employ over 20,000 people, to support several billion dollars in revenues created. And, success attracts high-profile capital and more success. The company or its portfolio companies have raised in excess of $1.8BN in capital in the last 18 months alone. Investors include billionaire Len Blavatnik at Access Industries, J.P. Morgan, AB Kinnevik (Swedish investment company), Holtzbrink (German publishers), Summit Partners, and Tengelmann (German supermarket chain). Credit Rocket Internet's founders, the Samwer Brothers (Marc, Oliver & Alexander), who learned this "copy cat" model from their online-auction site, Alando, which they sold to eBay for $50MM. And, then, launched Rocket Internet in 2007, to replicate that success with the proceeds from their big payday. So, keep your eye on Rocket Internet's newest sites, Pinspire (based on Pinterest), Wimdu (based on AirBnB) and DropGifts (based on Wrapp). I am sure they will not disappoint, if history is any guide. And, don't forget, you don't have to be the first at bat, to hit the biggest home run. CHICAGO, IL -- In 2010, Red Rocket started out as a fun side project of George Deeb, its Founder and Managing Partner. But, over the last two years, Red Rocket quickly evolved into a real business, with over 400 startups and other digital businesses approaching the company for consulting or financial advisory help. In order to better keep up with the increasing demand, Red Rocket announced today that Jay Stocki has joined the company as a new Partner. Jay is a serial entrepreneur with more than 20 years experience in strategy development and process execution in the technology industry. He is passionate about solving problems through new technology and is working diligently to help make Chicago a global technology center. Jay's skills include product strategy and marketing, business and revenue development, positioning and brand marketing, financing, digital marketing and executive team development. Prior to Red Rocket, Jay was an executive with Bering Media (via the acquisition of his startup, DirectGeo), leading the use of big data in local display advertising. Jay has also held management roles with several large digital businesses, including Yahoo! 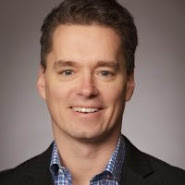 (Regional Director of Sales & Operations in Chicago, and launched enterprise sales efforts as National Account Director), NVIDIA (helped to grow from $60MM to $2BN and IPO as Industry Evangelist and Director-Products) and Corio, now part of IBM (helped to IPO as Senior Director--Products & Markets). Prior to that, Jay was senior strategy consultant for Andersen Consulting (now Accenture) in their high tech practice from 1990 to 1998. Jay has also run his own consulting business, Talmont Consulting, in the ISP industry. Some of Jay's consulting clients include: Verizon, Verizon Wireless, CenturyLink, Embarq, Qwest, McDonald's, Snap-On Tools, Quaker Oats, Federal Express and Sony. Deeb said, "I am really excited to have Jay join the team. He has a very unique background that blends successful startup, big digital company and brand-name consulting experience in one person. The fact he has been associated with four successful exits over his career, will go a long way in helping Red Rocket's clients receive trusted advice and results." Jay has his MBA from the University of Michigan and a B.S. in Computer Engineering from the Milwaukee School of Engineering. 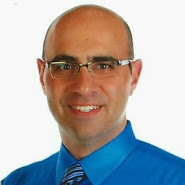 Jay serves on the Innovation Committee for Choose Dupage. He also serves on the board of Practical Philanthropy and is President of the District 58 Education Foundation. For future posts, please follow us here: www.twitter.com/georgedeeb. If you enjoyed this post, please click the social sharing buttons to share it with your networks. As we have discussed in the past, venture capital investors are looking for different things than private equity investors. Venture capital firms are typically growth-oriented, early-stage investors. And, private equity firms are typically cash-flow oriented, later-stage investors, looking to invest in companies in excess of $10MM in revenues and $3MM in EBITDA in size. 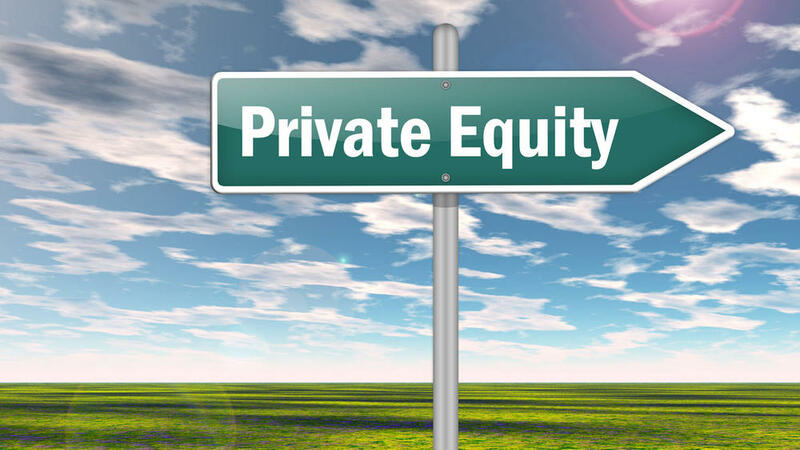 So, as an early-stage startup, why on earth should you consider reaching out to private equity investors, if you are not making progress with venture capital investors? Because you are going to pitch them with an entirely different growth strategy altogether. Instead of pitching a brand new startup, like you did with the venture capitalists. You are going to pitch them on the acquisition of an established business, or a roll-up of established businesses, in your space, that will collectively get you the revenue and EBITDA size they will require. Then, you pitch them to put you in charge of the business post funding, responsible for the execution therefrom with your new-generation solution. You won't walk away with 75% ownership, as you could with a venture financing in your early-stage startup. But, you could walk away with 10% ownership (a reasonable stake for a non-founding CEO in a PE backed company). 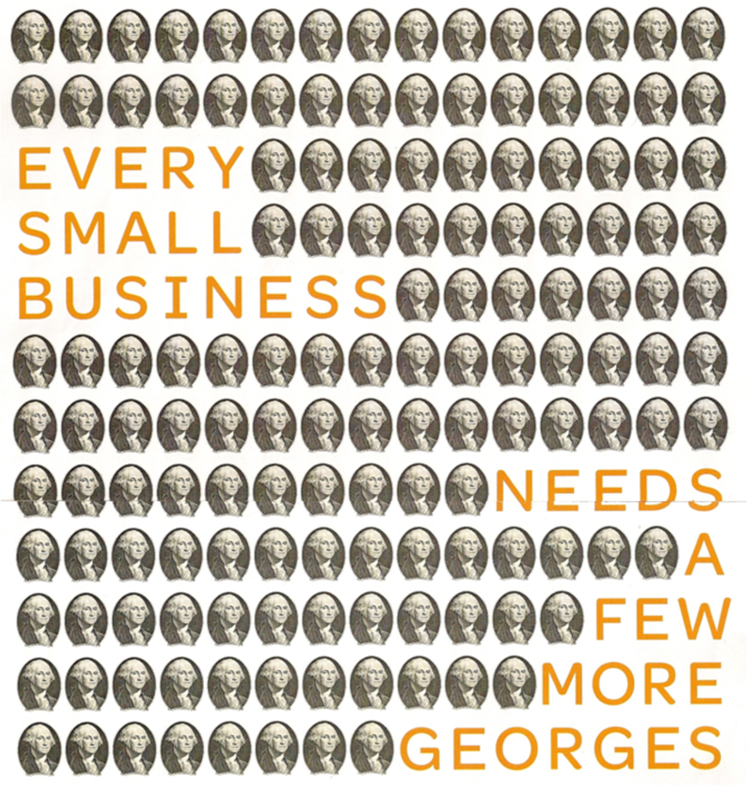 So, economically, it could be the same to you, if not better. As an example, owning 75% of a $4MM startup business is the same as owning 10% of a $30MM established business (with a lot less risk given the established client base and revenue stream). As a case study, I have a client that has a "game-changing" technology in their industry, with a real potential of building a $1BN revenue business, as a next generation business. But, if they were going to take their time, and raise venture capital for a startup, and slowly build to $1BN, it could take up to 10 years and other competitors could catch up or the entrenched old-generation businesses could build new-generation solutions of their own. But, instead of going down the slow road, where the venture guys were confused by the space with a glut of look-alike startups being launched. Make a pivot, and pitch the billion-dollar idea to private equity firms, who could fund the acquisition of a big established, old-generation company, to sprinkle your magic, new-generation expertise and technology on their existing clients over night. In this route, there is no need to build out a big sales team and establish new relationships, since they already exist. By piggy-backing on existing sales relationships, you will get your product to market materially faster, potentially turning you into a $1BN business over night. Now, I made this sound really easy. In reality, there are a lot of complexities in this private-equity focused route. Private equity investors will ask questions like: (i) does this entrepreneur really have the skillsets of running a big company (you may or may not, depending on your resume); (ii) who is the target company you are going to buy, have you initiated conversations with them and what purchase price will it require (suggesting you need to do your research and "shopping" upfront, to have a known target and go-to-market strategy in mind before you approach the private equity investors); and (iii) lots of things can go wrong with acquisitions, that will negatively impact sales (so what is your transition plan, and have you conservatively forecasted revenues post transaction). The point here is not to be too myopic in your thinking about your business and growth strategies. There are more than one road to your end goal, of building the largest business in your space. And, raising private equity, can often be a lot easier than raising venture capital, especially for recurring revenue businesses. So, if you take the time to see the forest through the trees, interesting growth opportunities will present themselves. If you decide to go down this route, here is a list of private equity firms in Chicago to research, as potential funders of your transaction. As we learned back in Lesson #32 (How to Value Your Startup), in order to properly value your own business, you need to have a good sense to valuations for similar companies in your industry. To accomplish this, you will need to research the ever-changing, industry-average revenue or EBITDA multipliers for similar companies in your industry, determined either by the multiples of publicly traded companies or the multiples paid for similar companies in private sale transactions. For all you digital companies out there, I wanted to share a terrific resource provided by Petsky Prunier, a boutique investment bank with expertise in the digital space. 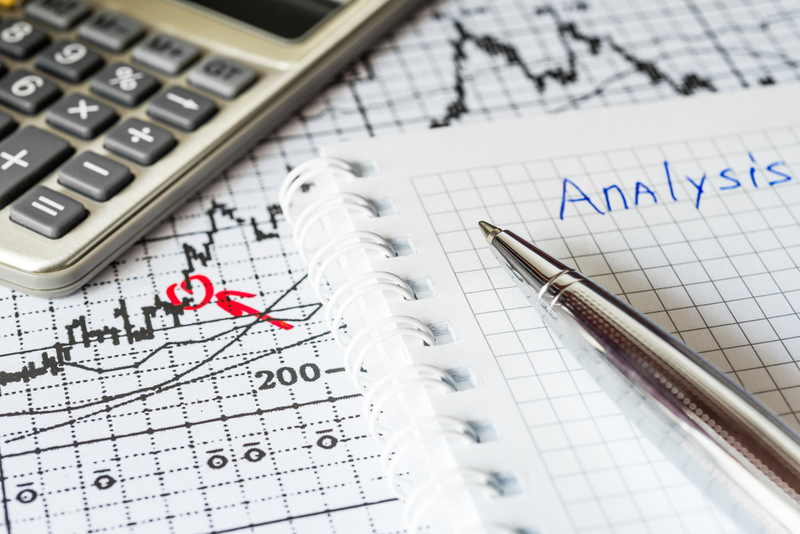 Every month, the analysts at Petsky Prunier research the current multiples for both the public companies and the private sale transactions in the digital space. Furthermore, in addition to overall data, they do a really nice job of separating out the valuations and multiples by different subsets of the digital space, including: (i) Digital Media/e-Commerce; (ii) Digital Advertising; (iii) Marketing Technology; (iv) Agency & Marketing Services; (v) Traditional Media; (vi) Technology; (vii) Software; (viii) Communications; and (ix) Information & Business Services. As an example, notice the big difference in valuations between technology-powered businesses vs. people-powered businesses!! Petsky Prunier's monthly research reports can be freely accessed on their website. And, to join their monthly email distribution list for these reports, simply send an email to info@petskyprunier.com asking them to add you to their email list. I hope you find Petsky Prunier's research as valuable as I do, when valuing digital companies. But, I know valuing businesses can often be more of an art, than a science, when traditional multipliers may not apply. So, if you have any questions on what your business is worth, do not hesitate to ask, either by email or via the comments field below. And, for all you startups that are not in the digital space, hunt down similar research reports or investment banking research analysts that may be available for your specific industry. Or, you will need to calculate the multiples yourself, based on available data online. For future posts, please follow me at: www.twitter.com.com/georgedeeb. If you enjoyed this post, please click the social sharing buttons to share with your social networks.